For centuries, Christians have prayed in processions around their neighborhoods, setting forth with their bodies what they profess with their words: the Lord Our God has dominion over all. When faced with what may seem to be insurmountable challenges, we carry the cross in which we find our triumph, and call upon the Lord who has created and redeemed us. On the Feast of St. Michael and All Angels, we remember that as Christians we have been placed by God under the protection of Michael, chief among the archangels. Michael is the warrior angel who defeated Satan during the war in heaven. He is a protector against the darkness and the enlightener of minds. Like all the holy angels, Michael is the faithful servant of God, a messenger who does God’s will on Earth. How appropriate, therefore, that on this Feast of St. Michael and All Angels we should process around this our neighborhood, proclaiming the dominion of our Lord and asking the angels to watch over us. As the days shorten and troubles multiply, the angels remind us that our lives are wrapped in God’s fierce and tender care. Let us extend that same care to each other. Priest Bless the Lord, O you his angels, you mighty ones who do his bidding, obedient to his spoken word. People Bless the Lord, all his works, in all places of his dominion. Everlasting God, you have ordained and constituted in a wonderful order the ministries of angels and mortals: Mercifully grant that, as your holy angels always serve and worship you in heaven, so by your appointment they may help and defend us here on earth; through Jesus Christ our Lord, who lives and reigns with you and the Holy Spirit, one God, for ever and ever. On the twenty-fourth day of the first month, as I was standing on the bank of the great river (that is, the Tigris), I looked up and saw a man clothed in linen, with a belt of gold from Uphaz around his waist. His body was like beryl, his face like lightning, his eyes like flaming torches, his arms and legs like the gleam of burnished bronze, and the sound of his words like the roar of a multitude. I was left alone to see this great vision. My strength left me, and my complexion grew deathly pale, and I retained no strength. Then I heard the sound of his words; and when I heard the sound of his words, I fell into a trance, face to the ground. But then a hand touched me and roused me to my hands and knees. He said to me, ‘Daniel, greatly beloved, pay attention to the words that I am going to speak to you. Stand on your feet, for I have now been sent to you.’ So while he was speaking this word to me, I stood up trembling. He said to me, ‘Do not fear, Daniel, for from the first day that you set your mind to gain understanding and to humble yourself before your God, your words have been heard, and I have come because of your words. But the prince of the kingdom of Persia opposed me for twenty-one days. So Michael, one of the chief princes, came to help me, and I left him there with the prince of the kingdom of Persia,* and have come to help you understand what is to happen to your people at the end of days. For there is a further vision for those days.’ While he was speaking these words to me, I turned my face towards the ground and was speechless. Then one in human form touched my lips, and I opened my mouth to speak, and said to the one who stood before me, ‘My lord, because of the vision such pains have come upon me that I retain no strength. How can my lord’s servant talk with my lord? For I am shaking, no strength remains in me, and no breath is left in me.’ Again one in human form touched me and strengthened me. He said, ‘Do not fear, greatly beloved, you are safe. Be strong and courageous!’ When he spoke to me, I was strengthened and said, ‘Let my lord speak, for you have strengthened me.’ Then he said, ‘Do you know why I have come to you? Now I must return to fight against the prince of Persia, and when I am through with him, the prince of Greece will come. But I am to tell you what is inscribed in the book of truth. There is no one with me who contends against these princes except Michael, your prince. Priest he Lord be with you. Priest Lift up your hearts. Priest Let us give thanks to the Lord our God. Priest It is right, and a good and joyful thing, always and everywhere to give thanks to you, Father Almighty, Creator of heaven and earth. In praising your faithful angels and archangels, we praise your greater glory; in honoring them, we honor you, their creator; and in asking for their protection, we ask only that they do your divine will, for you are gracious, O Lover of Souls, and to you we give praise: Father Son and Holy Spirit. The people begin singing and processing westward on Prast, going as far as the third house. Suppose there are fifty righteous within the city; will you then sweep away the place and not forgive it for the fifty righteous who are in it? People Far be it from you to do such a thing, to slay the righteous with the wicked, so that the righteous fare as the wicked! Far be that from you! Shall not the Judge of all the earth do what is just? Heavenly Angels, mighty ones obedient to God’s spoken Word: in that Word you have shared with us a vision of that holy City to which the nations of the world bring their glory. Behold and visit, we pray, the cities of the earth, and especially this city of South Bend; that through your ministry our Lord might renew the ties of mutual regard which form our civic life, send us honest and able leaders, and enable us to eliminate poverty, prejudice, and oppression. Let peace might prevail with righteousness, and justice with order, so that men and women from different cultures and with differing talents may find with one another the fulfillment of their humanity; through Jesus Christ our Lord. Amen. The people resume singing and processing westward, going as far as the third house. People Those with child and those in labor, together; they shall return here. Holy Mary, Queen of the Angels, pray with us for all pregnant women and for the children they have conceived, that both may safely and happily come to the time of birth, and have occasion to rejoice in the loving providence of your Son, Jesus Christ, who with the Father and the Holy Spirit lives and reigns, now and for ever. Amen. O, Praise Him! Alleluia! Alleluia! Alleluia! Alleluia! People ‘Blessed are those who are persecuted for righteousness’ sake, for theirs is the kingdom of heaven. Heavenly Angels, inhabitants of that heavenly kingdom where no sword is drawn but the sword of righteousness, no strength known but the strength of love, no hands raised but the hands of praise: So mightily spread the good news abroad, that we all might be gathered under the banner of the Prince of Peace, as children of one Father; to whom be dominion and glory, now and for ever. Amen. O, Praise Him! Alleluia! Alleluia, Alleluia! Alleluia! People This is my comfort in my distress, that your promise gives me life. Heavenly Angels, you bear witness to the truth that the Lord does not willingly afflict or grieve His children: Look with pity upon the sorrows of your fellow servants who mourn, and watch over our weakness in mercy. Pray with us that the Lord might nourish our mortal souls with patience, comfort us with a sense of His goodness, lift up His countenance upon us, and give us peace; through Jesus Christ our Lord. Amen. The people resume singing and processing westward, going as far as the NE corner house. Will guide your steps when goals compete. You, O Lord, are my hope, my trust, O Lord, from my youth. People Upon you I have leaned from my birth; it was you who took me from my mother’s womb. Heavenly Angels, watch over our children, who are growing up in an unsteady and confusing world. Shine your holy light upon them, that they may see that the ways of God give more life than the ways of the world, and that following Him is better than chasing after selfish goals. Bear them up when they fall, that they might take failure, not as a measure of their worth, but as a chance for a new start. Strengthen them, that they might hold onto their faith in God, and keep alive their joy in His creation; through Jesus Christ our Lord. Amen. The people resume singing and process southward down Meade, going as far as the SE corner of Meade and Frederickson. Him who hears you in your distress. Suddenly an angel of the Lord appeared and a light shone in Peter’s cell. People When Peter came to himself he said, ‘Now I am sure that the Lord has sent his angel and rescued me. Heavenly Angels, you shone your light in Peter’s cell when he was imprisoned: visit our jails and prisons with that light. Watch over all prisoners and captives, bringing the guilty to repentance and amendment of life according to God’s will, and giving all of them hope for their future. When any are held unjustly, bring them release, and pray that God might forgive us, and teach us to improve our justice. Watch over all those who work in these institutions; make them humane and compassionate; and save them from becoming brutal or callous. And since what we do for those in prison, we do to our Lord and Savior Jesus Christ, constrain us to improve their lot. All this we ask in the name of the Father, and of the Son and of the Holy Spirit. Amen. The people resume singing and process eastward down Frederickson, going as far as the third lot (which is vacant). Praise God who puts it in your sight. His justice let us each pursue. Praise Him who gives to each her due. People And those who know your name put their trust in you, for you, O Lord, have not forsaken those who seek you. PL 7 Let us pray. Heavenly Angels, guide the people in this land who live with injustice, addiction, terror, disease, and death as their constant companions. Pray God’s mercy upon us, that we might extend our hands in in mercy to our neighbors. Fight alongside those who spend their lives establishing equal protection of the law and equal opportunities for all, so that every one of us might enjoy a fair portion of the riches of this land; through Jesus Christ our Lord. Amen. The people resume singing and processing eastward, going as far as the third house. God bless you in your work today. Now bring you pay for what you’ve wrought. They were broken in pieces, nation against nation and city against city, for God troubled them with every sort of distress. PL 8 Let us pray. How attractive is wisdom in the aged, and understanding and counsel in the venerable! People Rich experience is the crown of the aged, and their boast is the fear of the Lord. PL 9 Let us pray. 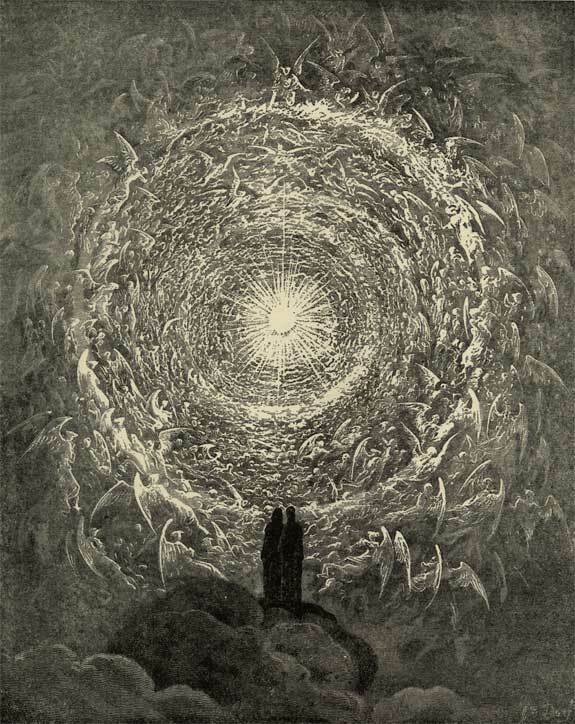 Heavenly Angels, whom God has spared the aging of our mortal frame, watch over all those whose increasing years bring them weakness, distress, or isolation. Pray that our Lord provide for them homes of dignity and peace, understanding helpers, and the willingness to accept help. And as their strength diminishes, pray that our Lord increase their faith and their assurance of His love. This we ask in the name of Jesus Christ our Lord. Amen. The people resume singing and processing eastward, going as far as the SW corner house. Praise Him whose light first in you rose. People The fear of the Lord is the beginning of knowledge; fools despise wisdom and instruction. PL 10 Let us pray. Heavenly Angels, to whom divine knowledge has been revealed, watch over the schools where our children study, that in safety they may prosper as lively centers for sound learning, new discovery, and the pursuit of wisdom. Pray that those who teach and those who learn may find our Lord to be the source of all truth; through Jesus Christ our Lord. Amen. The Lord raises up the needy out of distress, and makes their families like flocks. People The upright see it and are glad; and all wickedness stops its mouth. Heavenly Angels, You see the Lord set the solitary in families: watch over the homes in which His people dwell. Pray that our Lord put far from them every root of bitterness, the desire of vainglory, and the pride of life. Pray that he fill them with faith, virtue, knowledge, temperance, patience, and godliness. Pray that he knit them together in constant affection, turning the hearts of the parents to the children, and the hearts of the children to the parents, that we may evermore have affection one for another; through Jesus Christ our Lord. Amen. The people respond to the announcement of the Gospel with Glory to you, Lord Christ. After the Gospel has been read, the Reader says, The Gospel of the Lord, to which the people respond, Praise to you, Lord Christ. Passing of the Peace: All are invited to share a sign of God’s peace with one another. Breaking of the Bread: A period of Silence is kept. People Therefore let us keep the feast. Alleluia. This entry was posted in Services and Events and tagged Prayer for the Neighborhood, Procession, St. Michael and All Angels.